A-B-C-D have 24 possibilities, in 4 of them the astrological signs run clockwise , in 4 they run in the counter clock manner. So this feature might be well just accidental. I agree with both Huck and Steve. But the configuration was almost always different: typically the angel and the eagle were on top, and the lion and the bull on the bottom (sometimes switching sides). It is the same on the earliest tarot World card of this design that I know, the "Sforza Castle," as well as all subsequent ones. Presumably it was felt that lions and bulls, being heavier than angels and eagles, and less frequently found with wings, should be on the bottom. To my knowledge, only the Lazzarelli illumination and the S-series "Mantegna," have eagle and lion on top and the angel and bull on the bottom. I think I understand the Tarot de Marseille-style World card better now. It has man-eagle on top, left to right, and bull-lion on the bottom, left to right. There is also the Vieville formation, where the bull and lion are switched (below far right; near right is Tarot de Marseille, Noblet; the Lazzarelli and E series Mantegna are at left). The Tarot de Marseille configuration corresponds, on three points, to the position in a circular map of the zodiac, with January near the top. Then Aquarius, the man, will be on the top left, Scorpio on the top right, Taurus bottom left, and Leo the bottom right. The only lack of correspondence is that instead of a scorpion we have an eagle. That is evidence of a sort. These maps are quite old, going back to ancient times. Why and when did the scorpion become an eagle I don't know, but I can surmise. One reason might be that it was not thought appropriate for an evangelist to be associated with a poisonous insect. When would that have happened? Here I think there's evidence. One of the Rose Windows at Chartres, the one with Christ in the center, has the symbols for the evangelists (four of the group of 12 in the middle circle around Christ), laid out mucht like their place in the zodiacal circle. But there is an eagle where we would have a scorpion. Chartres is well before the 15th century. Steve has shown how the Lazzarelli/Type E Mantegna fits an alchemical layout. The Heilige Dreifaltigkeiit of course was the brainchild of the Marquise of Mantua's German father; she (https://en.wikipedia.org/wiki/Barbara_o ... _of_Mantua) was contemporary with Bianca Maria Visconti, as Huck once pointed out to me. 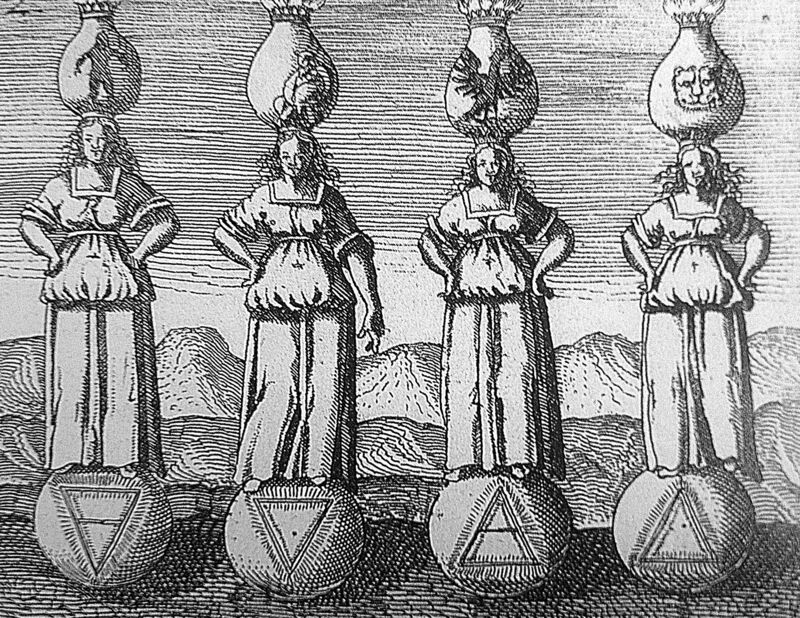 Lazzarrelli, as an alchemical writer, surely knew the work. On the face of it, that the type E is the same as his is evidence of a sort that the type E, but not the S, was influenced by Lazzarelli, since S was just before his book and the E after it. The alchemical layout is also based on the zodiacal circle. The sequence Eagle-Lion-Bull-Man, counter-clockwise on the card, corresponds to the zodiacal circle in a clockwise direction, as Huck may have been trying to point out. But I don't think it's accidental, because it's the most logical variation on the original, and, as I think Steve was noticing, if you start with Bull, and go counter-clockwise, then you have earth-water-air-fire, the normal sequence of elements, using Agrippa's system (see Steve's post), which we also see in Mylius's Philosophia Reformata and other early 17th century alchemical works, at least for the air-lady with the eagle on her head (below downloaded from Wikimedia Commons). So I agree with Steve on the relevance of that system of correspondences to the Lazzarelli/E-series card. So it's two systems with two different pedigrees. In one, the zodiacal, Eagle=Scorpio=Water, and Man=Aquarius=Air; in the other, perhaps alchemical, Eagle=Air, and Man=Water. If Drummonds in 19th century had the idea with Scorpio, somebody in 15th century might have had it, too. Venus + Mars fight in the Trojan war on the side of Troja, and one son of Venus, Aeneas, gets with the help of Venus in the region of Rome and somehow he was important for the foundation of the city Rome. Manilius, I think, was a Roman, he dedicated his work to Augustus. So Venus and Mars had local importance in Rome, then, c. 10-20 AD, relative short before Johannes at Patmos. 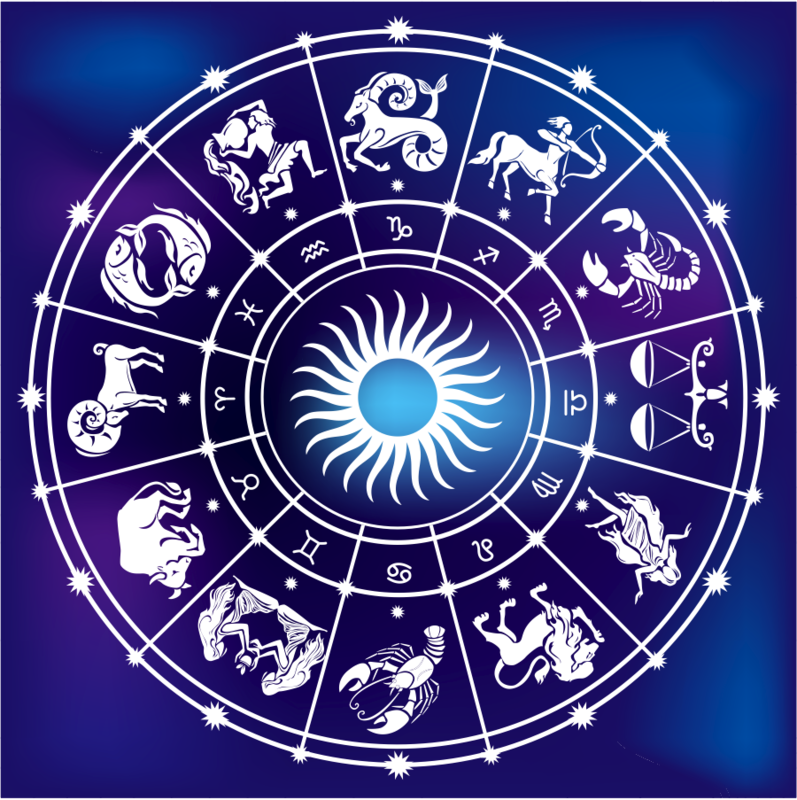 I read, that an astrologer of 4th century, Firmicus Maternus, wrote an astrological work of 8 books based on the astrology of Manilius, the idea, that this astrology was without any greater influence, seems to be wrong. The Mantegna Tarocchi of 15th century with its Jupiter presentation makes clear, that the eagle is a common attribute to Jupiter. If we would have an eagle on the place of Scorpio in an astrology, which has Jupiter in Leo (not the planet, but the mythological figure), this wouldn't be a surprise. If Mars would be compared to this eagle ... why not? The eagle as presentation of highest military power is common. The eagle of Zeus has its best mythical story in the tale of Ganymedes, who was carried by the eagle to the Olymp to serve as a Mundschenk (cup-bearer) there ... the man for the fluid stuffs, the Wassermann (water-man / Aquarius). So we have the 4 figures. Ganymed as Aquarius, the eagle as the eagle of Zeus, Zeus himself and as a 4th aspect a woman with cow-attributes (cow cause of Taurus) as in Io, who was a foe to Hera and wandered through the countries till she reached Egypt, where she became Isis. In first century likely there were a lot of different religions competing with each other and likely there was also a competition in astrology (Isis belonged to a successful cult, which even reached Germany far in the North. Ganymed ascended to heaven as Hercules did and also Jesus. The new Jesus cult might have had well an opposition from persons, who preferred old mythical ideas instead the form, which became later the astrological standard. Why and when was it changed? I don't know, but I can surmise. One reason might be that it was not thought appropriate for an evangelist to be associated with a poisonous insect. When would that have happened? Here I think there's evidence. 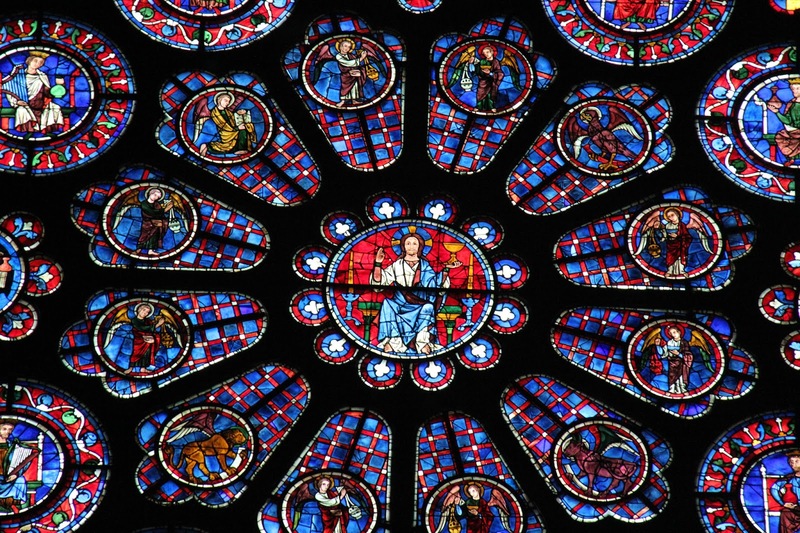 One of the Rose Windows at Chartres, the one with Christ in the center, has the symbols for the evangelists (four of the group of 12 in the middle circle around Christ), laid out mucht like their place in the zodiacal circle. But there is an eagle where we would have a scorpion. Chartres is well before the 15th century. But, beside the fact that the bull and lion are in the wrong place, it isn't a zodiacal circle anyway [so, they are not in the 'wrong' place!] !? All present and correct, as per Agrippa! As 'evidence' goes, it really doesn't help us very much! Prometheus together with Atlas. Both appear in the 10th (Atlas) and 12th work (Prometheus) of Hercules. Hercules saved Prometheus. German wiki: "Die Gestalt des Adlers und auch Ganymed wurden nach einer Überlieferung von Zeus als Sternbilder an den Himmel versetzt, Ganymed dabei als Tierkreiszeichen Wassermann." According a tradition Eagle and Ganymed were set as star pictures at the heaven of the night by Zeus. Eagle as Aquila, Ganymed as Aquarius. Aquila is near the end of Scorpio, closer to Sagittarius. Sure, they might - and I am pretty sure we are all aware of various arguments of the 'why' such associations could be made, and we can speculate about that might to our hearts content! Good point, Steve. The eagle could be aquarius. As to which it was, aquarius or scorpio. I tend to think a man would substitute for a man, and an animal for an animal, but more research is required. It still seems to me that the positions of the four evangelists in the window correspond to the positions of at least three of the zodiacal signs in the map. And the same for the Heilige Dreifaltigkeit and the Tarot de Marseille. Hence it is likely that the fourth, the eagle, is a substitution. There just appear to have been different ways of doing it. But some substitution was in effect, when a correspondence to the evangelists was also desired, at least by the 12th century. I see Huck's post as a suggestion for why an eagle might have been picked to replace the scorpion, as a representation of an evangelist: Aquila is a constellation near Scorpio. Note: in my previous post, for ease in visualization I added images of the Lazzarelli, Mantegna E, and Tarot de Marseille, plus Vieville, which has the other way of placing the bull and lion. As to which it was, aquarius or scorpio. I tend to think a man would substitute for a man, and an animal for an animal, but more research is required. It still seems to me that the positions of the four evangelists in the window correspond to the positions of at least three of the zodiacal signs in the map. "Creditum est Dan quod cerastem in vexillo pingere recusaret aquilam pro serpente pinxisse Ita putaverunt doctores et merito"